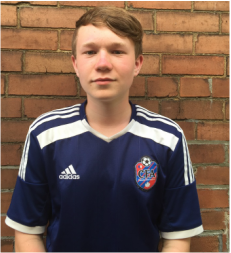 Simon Carroll has been playing soccer since the age of 5, and move into the competitive scene at the age of 10. At this age he played 3 years with Wexford becoming one of the top teams in the province. He later moved to Cherry Beach where he played 3 seasons. At the age of 13 he joined CFA as a player. He has now been coaching with CFA camps and FUNdamentals for 3 years. He has just graduated Cardinal Carter Academy For The Arts and will be attending George Brown College for Construction Management.